Location: Homer, 1 mile in from the fork on Ohlson Mountain Road, north side of the road, on the Browning Homestead. Miscellaneous: You would drive out to the hill and park off the road at the top of this ski area. Having the tow engine next to the road offered convenience dealing with gas and batteries for the engine. 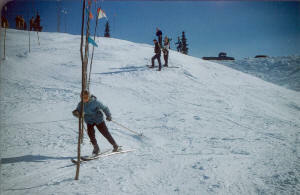 You would then ski down the hill and get towed back up. The warm-up hut from the first rope tow was pulled by tractor to this new site. Skiers eventually complained that the hill was too short, that it lacked the terrain to spread out the skiers. 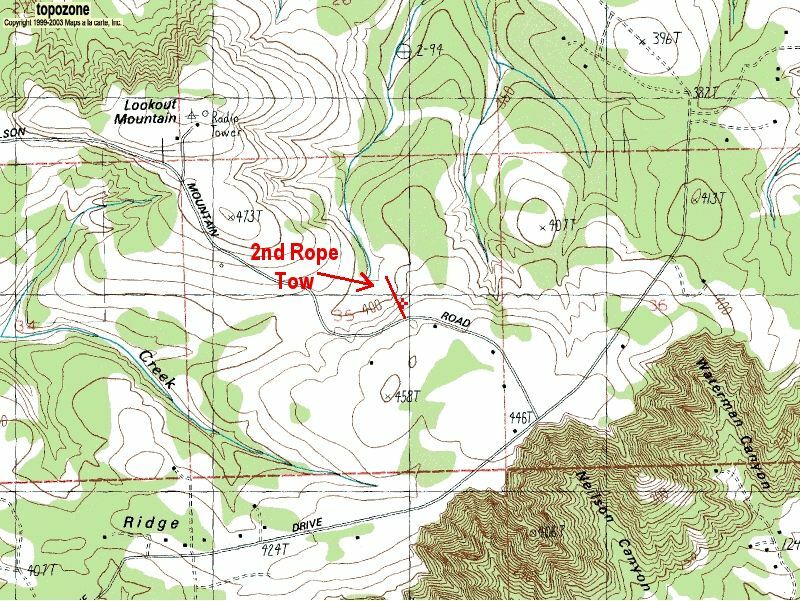 This rope tow was moved to the present Homer ski hill on leased Harbison & Strutz property towards Ohlson Mountain. 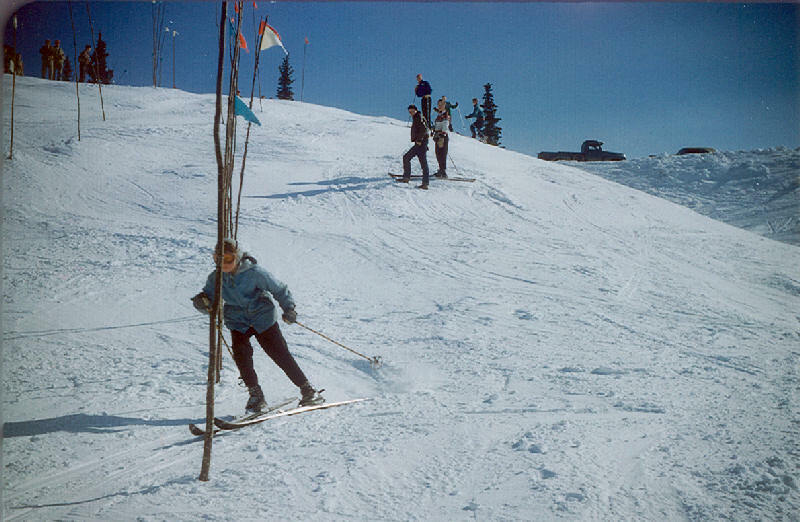 Photos: Does anyone have pictures of skiing on the 2nd Rope Tow Hill (or current pictures of the vicinity) that they would like to contribute to ALSAP ? 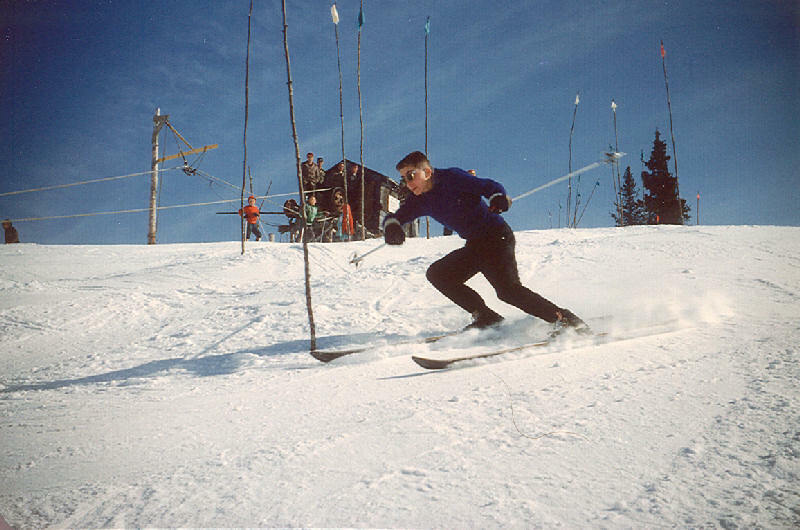 Slalom racer at the Browning's Homestead Rope tow on the Ohlson Mt. Road. 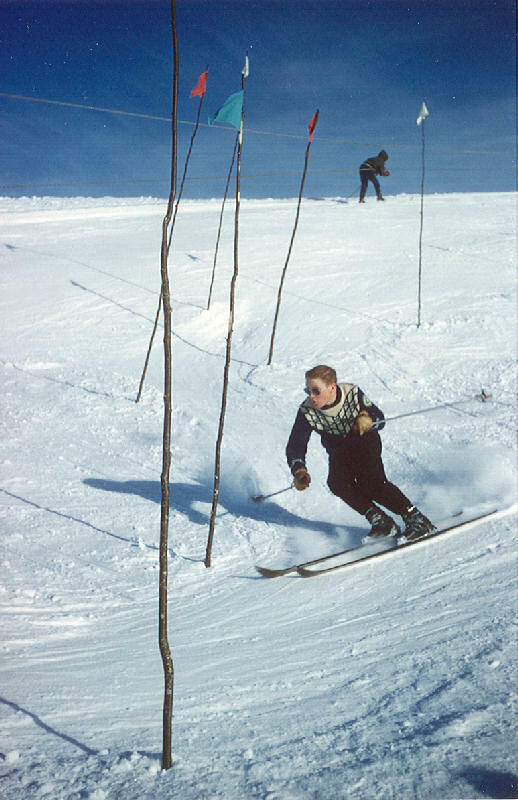 Note rope tow in background. Racer on course at Browning's Homestead, site of Homer's second rope tow. Mid McLay races slalom. Note the vehicles parked on Ohlson Mt. Road at the top of the ski hill. 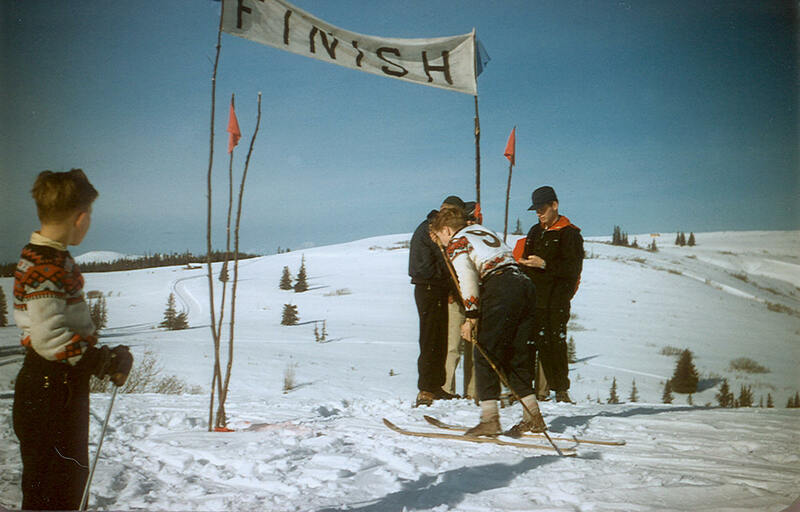 There was also a cross country course at the Browning Homstead. 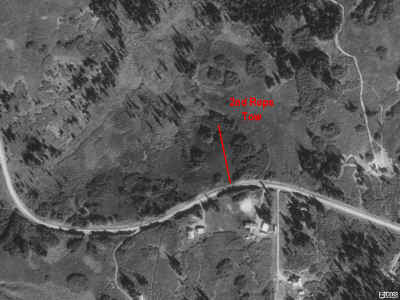 The exact location is still being researched. 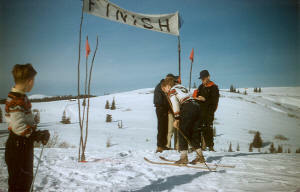 Here the McLay brothers finish their race. 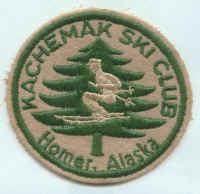 An image of an 1950's Kachemak Ski Club patch. 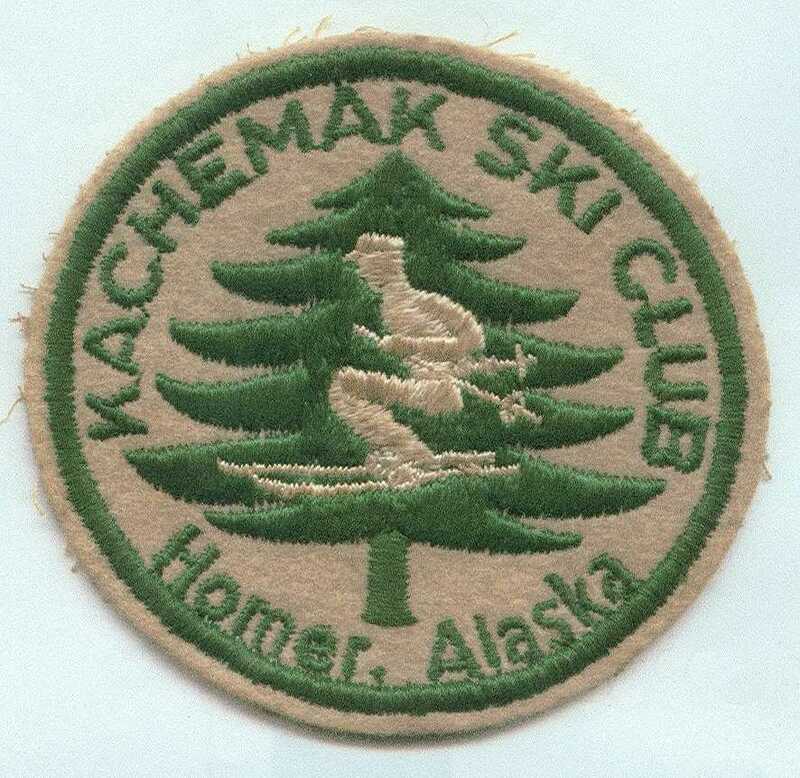 On this topo map you can see the location of the Kachemak Ski Club's 2nd Rope Tow. 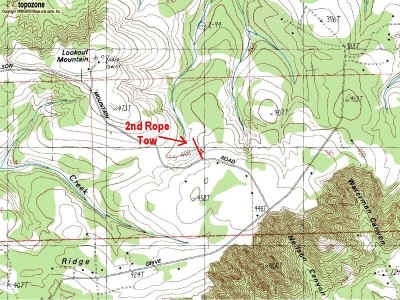 The top of the tow was right beside the Ohlson Mountain Road. 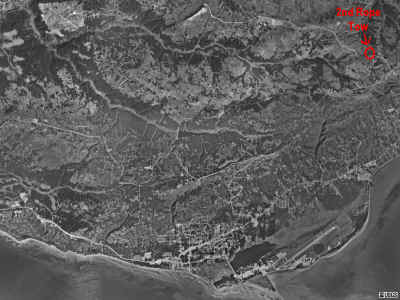 A 1996 aerial view shows where the 2nd Rope Tow was located in relation to the town of Homer. Zooming in from the aerial view, the approximate location of the 2nd Rope Tow can be seen. 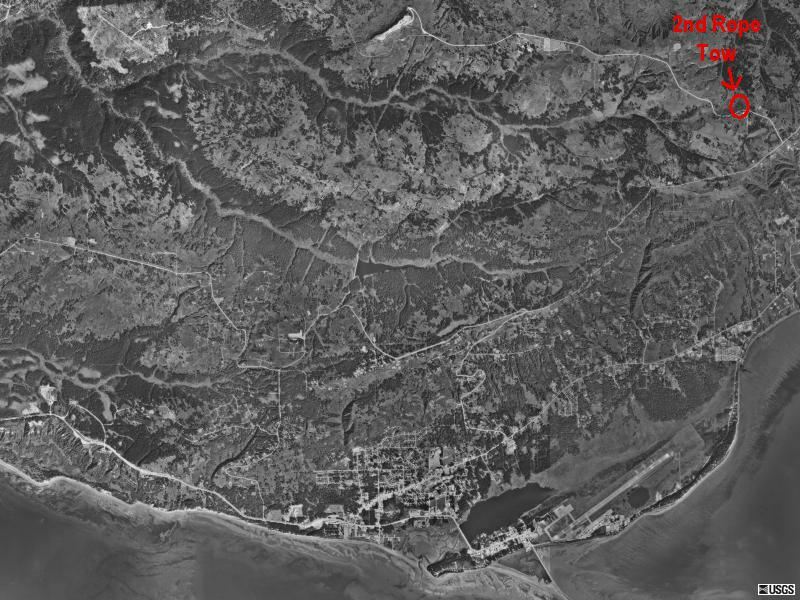 Do you have further information, stories or pictures that you would like to contribute about this ski area?